Ismatec introduces the all new low-cost ECOFLOW for flow rates from 100 ml/min to 3800 ml/min. ISMATEC'S latest 84 page product catalogue is now available from MEP Instruments . It features a wealth of information for users wanting to transfer liquid at rates from as low as 0.001ml/min to 45,000ml/min. The catalogue is split into three sections - tubing, gear and rotary piston pumps. Tubing pumps are immune to dry running, require no flushing and no cleaning. Due to Ismatec's unique convex rollers liquid is treated gently, an ideal feature for the pumping of sensitive cell media. Gear pumps are the pump of choice for pulse free pumping and to overcome differential pressures of up to 8.7bar. Rotary piston pumps show extreme resistance to corrosive and aggressive chemicals. They are also extremely accurate and highly reproducible results are achieved. 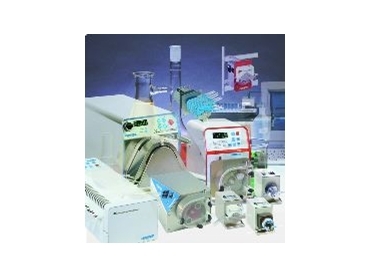 MEP Instruments is sole distributor of leading names in sample analysis technology in Australia and New Zealand. MEP is offering an introductory 10% discount on all Ecoflow orders until the end of the year 2005. Contact MEP Instruments for a free Ismatec catalogue.